We made our annual trip to Kenilworth a couple of weeks ago to collect seven weaners (8-10 week old pigs) from the breeder that we source our pigs from. Collecting the pigs is always a highlight of our smallholding year to as we love to have pigs in our field. They're inquisitive and playful animals and it's easy to lose a few minutes in between jobs simply watching them rooting around, enjoying their wallow or snoozing in the sunshine. Our children are also really fond of them and are very keen to help out when it comes to feeding time or topping up the straw in the ark. 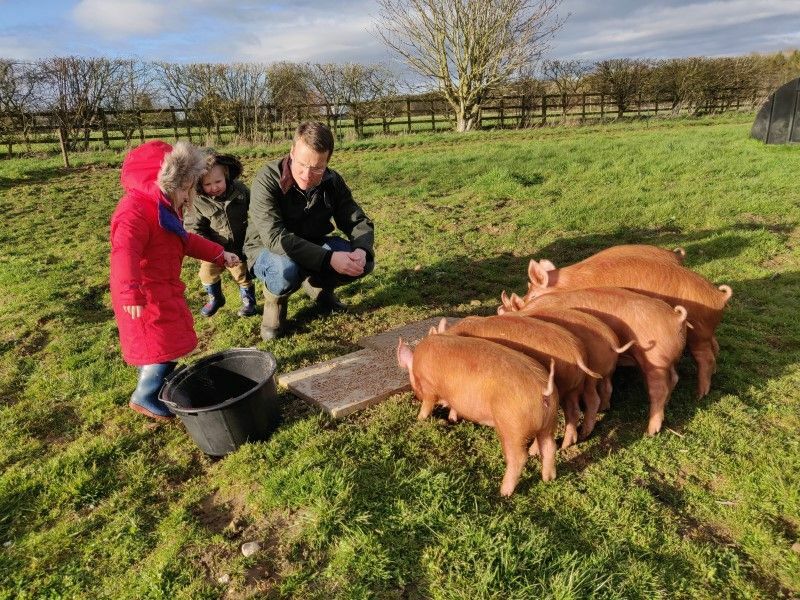 As well as teaching them where their food comes from we think it's important that they learn how to care for animals and learn about the responsbilities that come with rearing livestock.